OneNet is Oklahoma’s only statewide internet service provider, connecting our customers to each other and the world beyond. 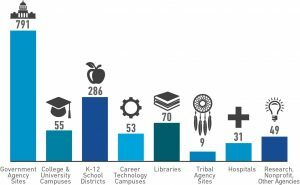 We serve universities and colleges, CareerTechs, K-12 schools, libraries, health care providers, research facilities, non-profit organizations and local, state, tribal and federal governments. OneNet’s mission is to advance technology across Oklahoma. We seek innovative solutions through unique partnerships to provide affordable, high-speed broadband options to those we serve. OneNet is a division of the Oklahoma State Regents for Higher Education. As Oklahoma’s internet service provider, we are focused on improving broadband availability and driving down costs for broadband and technology resources. We also operate the Oklahoma Community Anchor Network (OCAN), a network spanning 35 counties and more than 1,000 miles of high-speed fiber designed reach to rural Oklahoma communities. In the early 90s, legislators identified the need for a statewide network to connect Oklahoma’s rural schools. At the time, the State Regents operated the Educational Telecommunications Network (ETN), which delivered distance learning courses to students. OneNet was created as a research and education network to replace ETN. OneNet’s network gear was housed on the higher education campuses across the state, enabling us to deliver high-speed internet to our state’s rural communities. OneNet became fully operational in 1996. Not only are we still governed by the State Regents today, but we also continue to operate interdependently with the higher education system. How does OneNet partner with the private sector? OneNet partners with more than 30 telecommunications and cable providers to deliver our services to customers. OneNet is a middle-mile provider, meaning we connect communities across the state. We depend on our partners for last-mile connections, which take our services from our network to the customer’s building. These last-mile partnerships maximize public-owned infrastructure and are vital to reaching communities in every corner of the state. Who does OneNet serve in your district? OneNet serves all 77 counties throughout our state. We serve vital community anchor institutions in each of these counties. Use our legislative map to learn which types of organizations OneNet serves in your district. Why is OneNet good for Oklahoma? OneNet is good for Oklahoma, because we have expanded broadband availability across the state, and we create cost savings for Oklahoma tax payers. As a state agency, OneNet operates on a cost-recovery basis, in contrast to for-profit models. We seek solutions that offer more affordable broadband options and pass those savings on to those we serve. Over the last few years, we have also partnered with other state agencies to optimize the networks of eight agencies, saving tax payers approximately $6.3 million annually. We have expanded broadband availability in several ways. Through OCAN and our public-private partnerships, we have expanded broadband availability throughout Oklahoma’s rural areas. Our 100Gbps research network positions the state’s research institutions to participate in world-class research programs, locally and internationally. 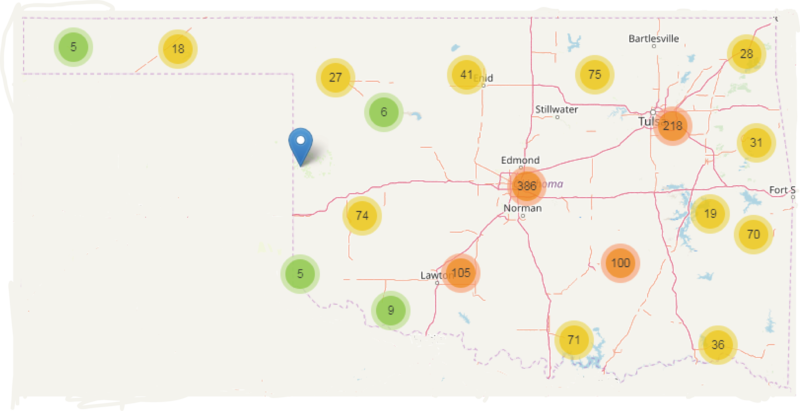 We also provide Oklahoma’s connection to Internet2, a nationwide 100Gbps network that supports research and education initiatives. Learn more about how OneNet advances research at the National Weather Center by watching a highlight video. Who can I contact to learn more about OneNet?